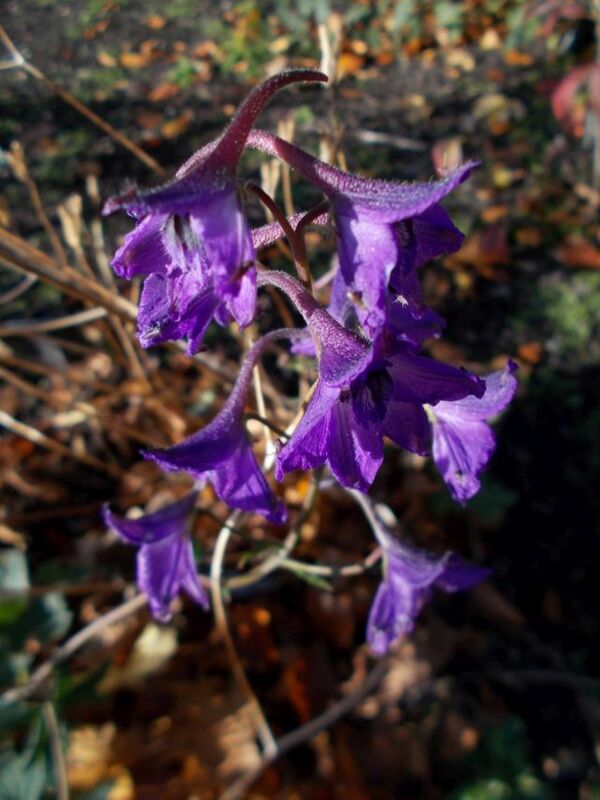 The mild weather has thrown up spikes of late season flowers. 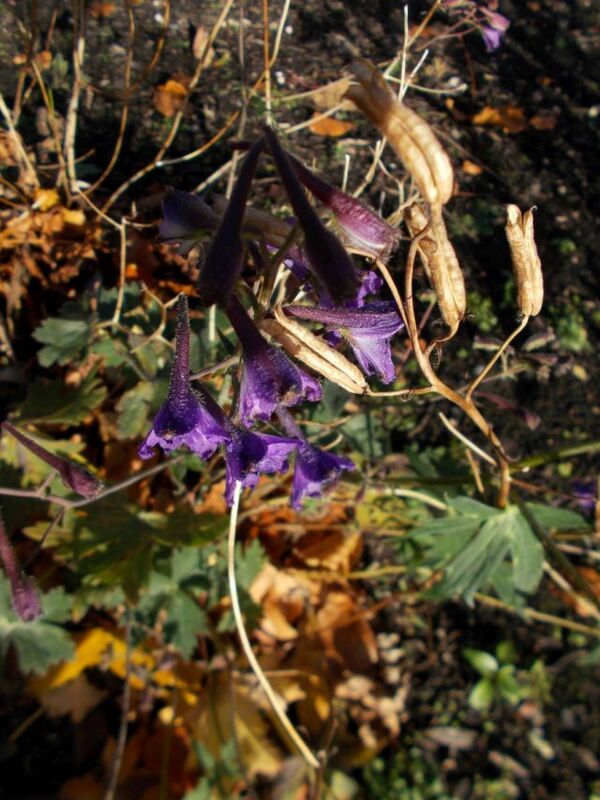 This herbaceous Delphinium beesianum has flowers sitting aside the dry brown seed pods of the summer flush. Multiple purple blue flowers make up the corymb, reaching 300mm in height. Although the sunshine hours were less than average by Met Office statistics the month of October was warmer than normal, the mean temperature 1.8oc above the 1981 – 2010 average. In summary; grey, drier and warmer than our average autumn. An interesting paragraph in the paper last week. Scotrail reported that this year 90% of the leaves had fallen from the trees compared to the same date in 2016 when only 60% had fallen.